This photo is from our first year of marriage. 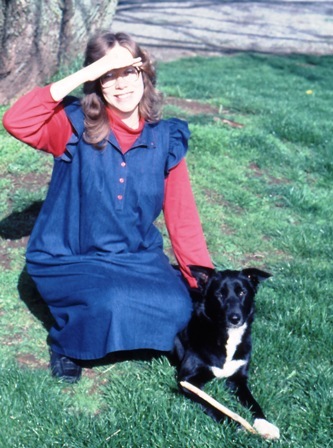 I believe this was taken at the Rathbone Road home in Ferndale, and this is our doggie, Emily Postum. 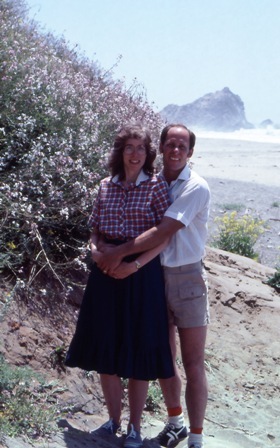 Here Rick and I are on an outing at McClure’s beach near Inverness, California during our honeymoon! This entry was posted on Friday, September 7th, 2007 at 1:36 pm	and is filed under Favorite Photos, Fun Things, Memories. You can follow any responses to this entry through the RSS 2.0 feed. Both comments and pings are currently closed.